Bernie is in the lead, followed very closely by Biden; the two frontrunners combine for nearly half of the pie. Warren, meanwhile, is languishing in the mid-teens. She's obviously struggling to garner momentum, but it's not as if she's a new entrant into the race. 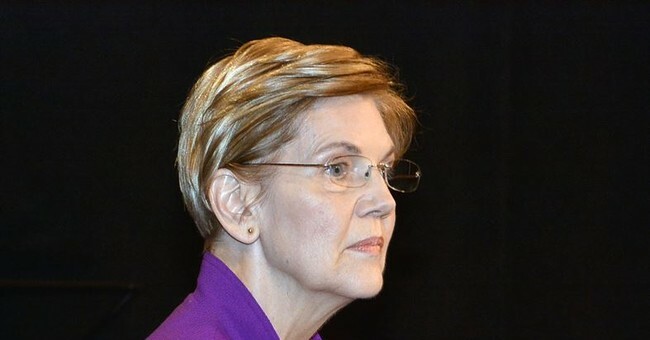 In fact, she was the very first major Democrat to roll out a presidential campaign this cycle (albeit in the form of an exploratory committee, initially), doing so late last year. Since then, she's been trying to make one policy splash after another, feeding the left-wing base a steady diet of red meat proposals -- from promising to use 'emergency' declarations to address issues like climate change and guns, to demanding an end to the legislative filibuster, to calling for the abolishment of the electoral college, to introducing radically confiscatory tax proposals. She's tried it all, and it hasn't moved the needle. Her campaign now claims that they hit their fundraising goal last quarter, but they won't elaborate on what that means, which doesn't exactly inspire confidence. Some media outlets are beginning to declare that her money strategy has backfired. Meanwhile, with observers awaiting the potential entrance of a handful of additional presidential hopefuls, all eyes are on former Vice President Joe Biden. He would join the fray as a slight (but not prohibitive) frontrunner, and appears to match up strongest against the incumbent in early polls. But he's been dogged by his 'unwelcome touching/personal space' issues, about which he joked over the weekend, and previous statements and stances that are anathema to the current iteration of the hard Left. After some analysts started questioning Biden's commitment to taking the plunge, even as a team and infrastructure was built up around him, it's looking increasingly likely that Biden is in. He's running, right? Biden says events of the last week are "going to have to change how I campaign." He's just answering questions like he's already a candidate. Minutes later: "I'm told by the lawyers I've gotta be careful what I say so I don't start the clock ticking and change my status."